A smoky heat makes this an intense sauce ready to add massive flavor to just about anything you slather it on. 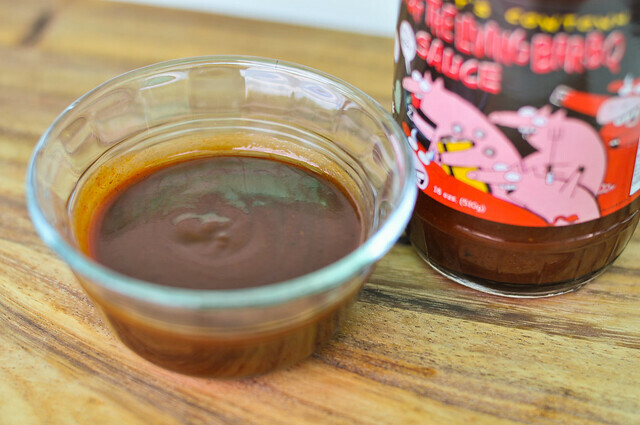 The earthy burn of the chipotle finds a better balance with the rest of the suce after cooked, but out of the jar, there's an attention to all of the ingredients beyond the spicy that makes this a special sauce. I picked up this sauce after seeing it in Saveur's Fourteen Sauces We Can't Live Without. It's produced by Kansas City Cowtown out of Kansas City, KS. 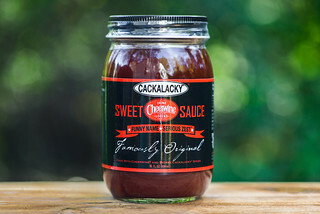 While there isn't much to deem in terms of history from their site, it looks like this barbecue products company started around 2000 and has been honored with numerous awards for their sauces and rubs. 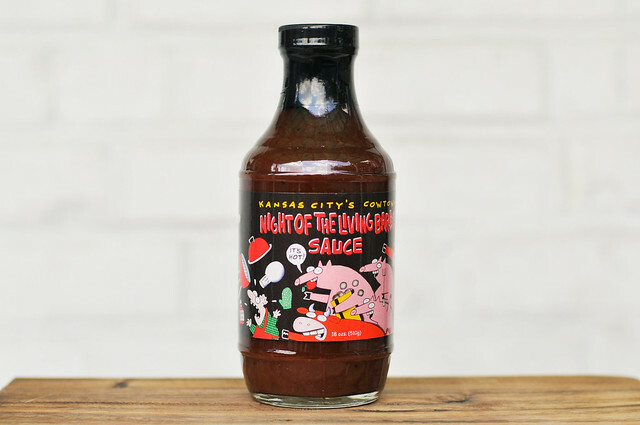 Night of the Living Bar-B-Q Sauce took 2nd place at the American Royal back in 2000. First smell is a heavy vinegar, but there's a strong smoky component, that is unmistakably chipotle, mixing fairly equally with the vinegar tang. You definitely get a sense of the tomato base, but the heaviness of the chipotle holds back the sweetness of the tomato. Underneath those dominate aromas, Worcestershire also makes a faint appearance. This sauce hits just about in the middle of the thickness scale. Off a a suspended spoon, it first flows in a steady stream, then starts to cling and falls in chunks. There are very few spices seen in this rusty red, opaque sauce. Man does this sauce pack a punch. The layers of flavors go quickly, starting with a smoky tomato, followed by a vinegar tang, then settling on the strong chipotle finale. I have a hiccup reflex that kicks in on some more extreme heat items, and taking in a large spoonful of this sauce on my first taste triggered it. Through the hiccups, I continued the tasting, also feeling a bit of texture on the tongue from some coarsely ground black pepper. Like the aroma, Worcestershire plays a discernible part in the overall flavor, but with the strong chipotle keeping a constant burn the mouth, it's fleeting. Staying true to its lack of sweetness, this sauce baked into the chicken very well, but without much caramelization. The intensity of the sauce added massive flavor to the chicken. Smoky chipotle was still the main player here, but it didn't hit with the same ferocity as out of the jar. There was a hint of sweetness, and the other flavors of the sauce had more time to find their way into the mix before getting hit with the wall of heat. I thoroughly enjoyed this sauce, even though I had to test it through an annoying hiccup reaction the intense spiciness inflicted on me. Out of the jar, the heat was a bit much, but it didn't completely hide the vinegar, tomato, and Worcestershire that were the other heavy hitters here. On the grill, a bit of sweetness started to come out, which dialed back the heat a notch and added an overall great flavor to the chicken. It's because of this that I really liked the sauce cooked more, and its heavy-handed flavors wont get lost on just about anything you put it on. 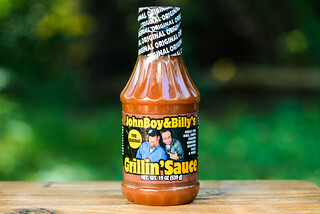 Out the jar, I think this sauce will play best for serious heat seekers out there who take pleasure in a little pain. i have that hiccup reflex too, but only if i've had a few drinks first. interesting to hear someone else has it. btw awesome site...i'm a canadian living in the uk and i look to your site for inspiration, because bbq here means instant light charcoal, rain and burnt sausages! @tim Me and my good friend found out we had this same hiccup reaction at the same time when I used a lot of "chili powder" in a rib rub. Turns out that powder was actually all cayenne and the heat both made use hiccup uncontrollably. How does it taste on BRAAAAINS? 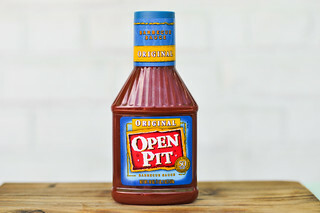 It was surprising for me to discover a difference between bbq sauce and ordinary ketchup. 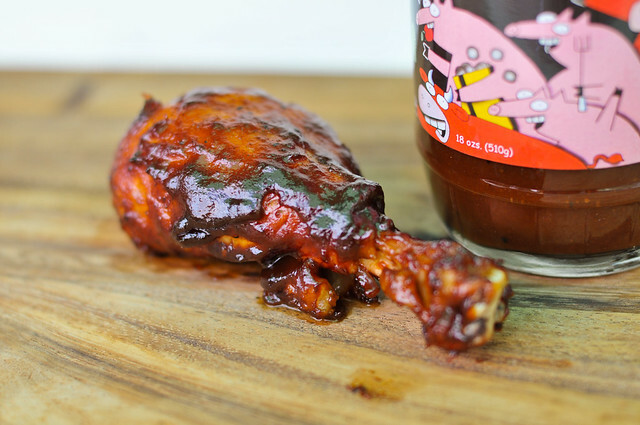 BBQ sauce you use to cook, mostly for finishing touch. But, ketchup sauce is something you add to meal during eating. I really did not recognize it! Cowtown is Oklahoma Joe's sauce, which is enough to give it serious bbq cred. Oklahoma Joe's was named one of Anthony Bourdain's 13 Places to Eat Before You Die and is always one of the top contenders for KC's best bbq joints. Was given a bottle as a gift, "because you like to grill ..."
Never could get the strong flavors to decide what they wanted to be. Too hot for most anyone who tried it on basted chicken. Won't be repeating it.